Sheila Hagar, Walla Walla Union-Bulletin, Wash.
Dennis Phillips will commute more than two hours when he begins a new form of treatment at Providence St. Mary Medical Center for metastatic prostate cancer this month. Phillips, 70, lives in Umatilla, Ore., retired from a 38-year career with Marlette Homes in Hermiston. The long trips to Walla Walla will be a bit of a haul, but worth every mile if the "Provenge" treatment system can tack time onto a life shortened by advanced prostate cancer, Phillips said. "As long as I can keep feeling good like I do now." Prostate cancer is the most common cause of death from cancer in men over age 75, and is rarely found in men younger than 40, according to the National Institute of Health. The low-grade version of prostate cancer is most often heard about, touted as being a cancer men might die with, rather than from. Treatment of the slow-growing disease consists of doing little to nothing except monitoring through blood screening in many cases. High-grade prostate cancer, however, can lie in wait, initially producing few symptoms to warn its victim. That's the type that has been a challenge for the health-care industry, said Deb Howard, clinical nursing supervisor for the cancer center. "The typical patient ... is minimally symptomatic and may have been through surgery," which has failed to halt the cancer, she explained. St. Mary is the only cancer center in Southeast Washington offering the Provenge option, and providers there consider it to be one of the major breakthroughs in prostate treatment in recent years. It was approved by the U.S. Drug and Food Administration for use in 2010. It works differently than anything else has so far in treatment history of the disease, according to news reports of the medication. The company that manufactures Provenge mixes the chemicals specifically for each patient, designing the dose to attach to the patient's own white blood cells -- collected for the occasion -- that are in charge of fighting cancer and other intruders. A body's white blood cells could perhaps do the work on their own if cancer cells weren't so good at camouflaging themselves "with a whole host of tricks," said Dr. James Cunningham, an oncologist and medical director of the cancer center. "They want to survive and they are very devious." Provenge "teaches" the white cells to communicate with the tumor, he said. "So the antigen cells are sent to school. Like taking students and helping them learn about one particular danger." The chemotherapy-and-white cell cocktail is then sent back from the lab and re-infused into the patient's blood supply. There is no discomfort associated with the procedure, Howard said, although an allergic reaction is possible. The option has no age cutoff. Provenge, the pharmaceutical industry's first effort at "immunizing the immune system," unmasks the invaders, so to speak, signaling the body to get to work, Cunningham said. "This was an achievement." As of now there's no promise anywhere for curing metastatic prostate cancer. Oncologists must be wary of using such terminology and consider the cancer to be a chronic disease, Cunningham pointed out. "But more, this is a case of postponing much more toxic chemotherapy for suppressing the immune system." Which is rarely 100 percent successful, he added. Today Provenge is offering patients "modest improvement" for increasing life span, Cunningham said. "Some may eventually be cured by Provenge, some will not have improvement at all. We occasionally see exceptional responses." From 2007 to 2011, 926 men in the Blue Mountain Oncology Program region -- Sunnyside to LaGrande -- were diagnosed with prostate cancer, 125 of those cases identified as at stage three to four of the disease, said Kay Hicks, who heads the cancer-tracking program. Those patients were more likely to see the disease spread past the prostate gland, she said. 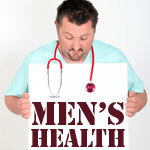 Any improvement in quality of life is significant for men in that situation, Cunningham said. In the progression of the disease, symptoms go from negligible to painful, impairing the victim's ability to work, sleep and think clearly. Pain management therapies are inadequate. "It's like a curtain coming down," the medical director said. "We can't postpone that forever for most men, but even buying four months ..."
With his grandchild playing in the background, Dennis Phillips agreed. Surgery failed to stop his cancer, and "radiation didn't seem to matter, either," he said. "The doctor said he can't cure it, but it can make me live a little longer. Even a little longer is worth it."